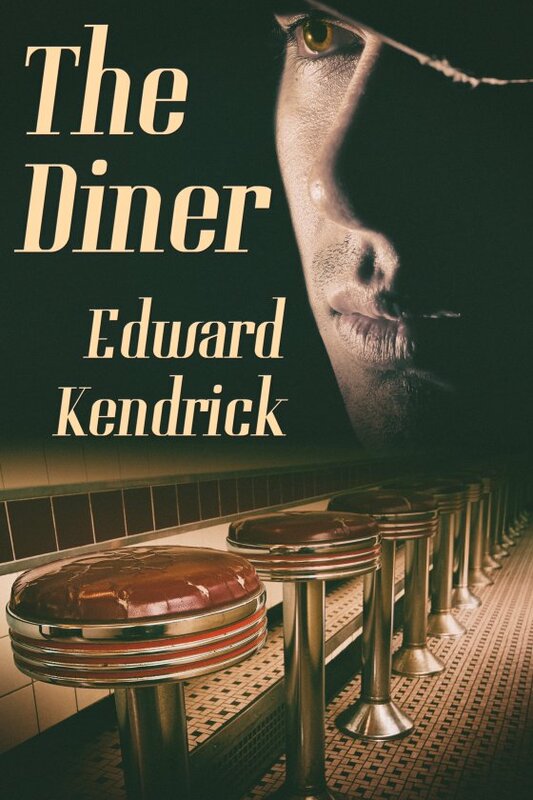 The Diner by Edward Kendrick is now available! A mysterious man has come to Spirit Falls. Does he have something to do with the new diner, or maybe the disappearance of the town’s mayor? Sheriff John Darkman needs to find out the answers to both questions. Noah Graham is also curious about the mystery man and the new diner. Then he meets the man, Arik Dalca, who offers him a job as a waiter there. When the mayor reappears and begins to sicken, John and Noah discover the real reason Arik has come to town. Shocked and horrified, they are drawn into what is happening in their town. In the process of trying to stop the horror, Noah begins to fall for Ewan, one of Arik’s team members, and John is drawn to Arik himself. Can the four men — and the town — survive what is to come? With the permission of their respective bosses, Noah and Cody had joined in the search for the mayor. The team they were with was responsible for checking the north side of Spirit River from the top of the falls down to where it went under the bridge, a quarter of a mile from the Irish Rose, and entered the town proper. They continued their trek, moving slowly; afraid they could miss something if they didn’t. At one point a shout was heard over the roar of the water. They turned in unison to look back at one of the two other men on the team. He was kneeling on a rock, peering down into the water. A moment later he stood, shaking his head and waving them on. “False alarm,” Cody said with a sigh of relief. As they watched, the man turned abruptly, stepping off the rocks onto dry land and vanished into the trees. By early evening all of the search teams had returned. There was a mixture of emotions — dejection that they hadn’t found the mayor somewhere, alive if injured, and relief that they hadn’t found his body. But above all else was puzzlement. “He can’t have just walked away, or run away,” one of the men said, stating the universal feelings of the others. “Then what the hell happened to him?” another man exclaimed. “Wouldn’t Maggie have gotten a ransom call if that was the case?” one of the women asked. After a few more questions along the same lines, none of which John had answers for, people started drifting away. The majority of them headed home while a few others made their way to Mike’s Bar. John was tempted to join them but knew if he did he’d only have to field even more questions, or listen to off-the-wall ideas about why the mayor had disappeared without a trace. So instead, he went home.